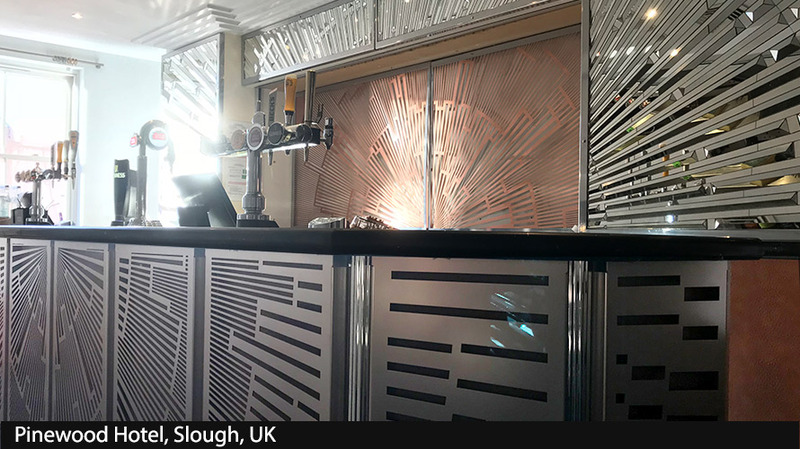 Custom made art deco cocktail bar and restaurant using laser cut copper and art deco mirrors transformation. Bespoke laser cut panels in an art deco style create a transformational effect for this multi use bar suitably for weddings and receptions, as well as conferences and cocktail bar evenings. 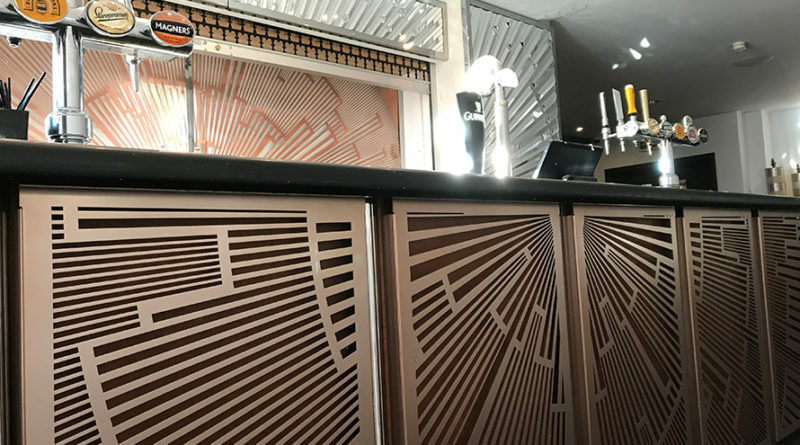 An art deco bar incorporating custom made art deco 3d Mirrors by the team at Laser Cut Screens crate amazing mirror reflections both day and night, as well as transmitting maximum light in the bar and surrounding area. 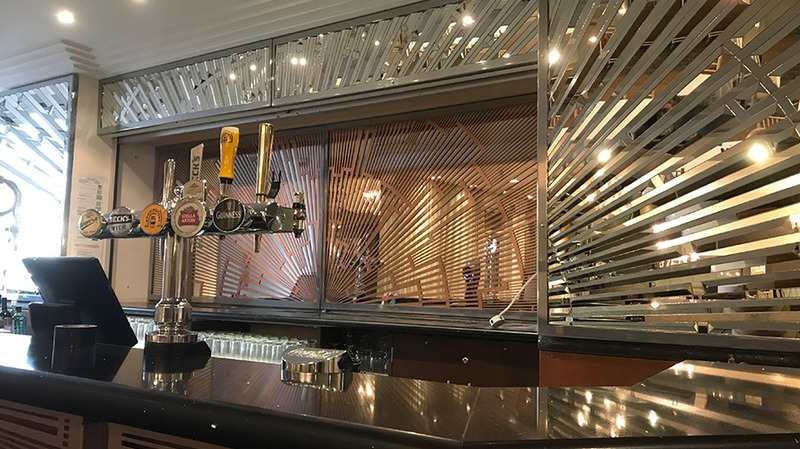 The team at Laser Cut Screens worked closely with Balindar Takhar at Wellcom designs to transform a bar area at the Pinewood Hotel in Slough into a decorative, inviting and art deco inspired environment that could be use for a wide range of uses. 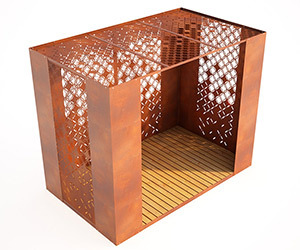 Combing a wide range of 1920s textures and colours, an original art deco manhattan skyscraper inspired artwork was created, and together with art deco mirrors accentuate the skyscraper theme throughout.